Playing straightaway and relatively level, it will be a relief for many to reach the comfortable ground on the par four 8th hole. With an abundance of level terrain, this is the perfect spot for a long par four. A new back tee will be added, stretching this hole out to about 450 yards. A new forward tee will be added, potentially allowing shorter hitters to reach the green in regulation. The existing bunkers are enormous and take away from the chance to let loose with a big tee ball. Rather than two oversized bunkers on the right, one positioned low left and another high on the right would produce a well-balanced look. The left bunker will be long and thin, cut into the sloping ground and the far right bunker serves as a target with strong right side support. 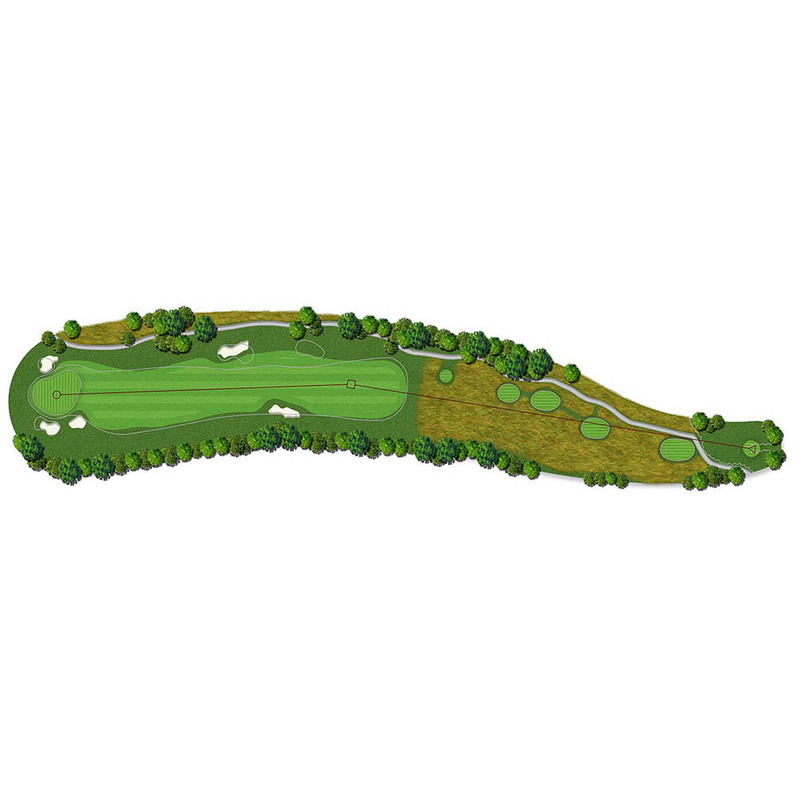 With its gently rolling land and open approach, the green site welcomes the run up shot often associated with a longer approach. A pair of stacked bunkers will guard and highlight the left collar of the green.